Being a landlord is already an expensive business, but it costs a great deal more if you break the rules. So how can you ensure you stay on the right side of the law? In 2018, buy-to-let investors across the country were slapped with fines of thousands – and in one case millions – of pounds for breaching licensing, tenant safety and planning regulations. Here, we explain some of the main areas where landlords trip up, and offer advice on how to avoid legal pitfalls. If you’re thinking of purchasing a property as a buy-to-let investment, you can get impartial advice on finding the right mortgage by calling Which? Mortgage Advisers on 0800 197 8461. Landlords letting out Houses in Multiple Occupation (HMOs) and managing agents working on their behalf have received significant fines in 2018. 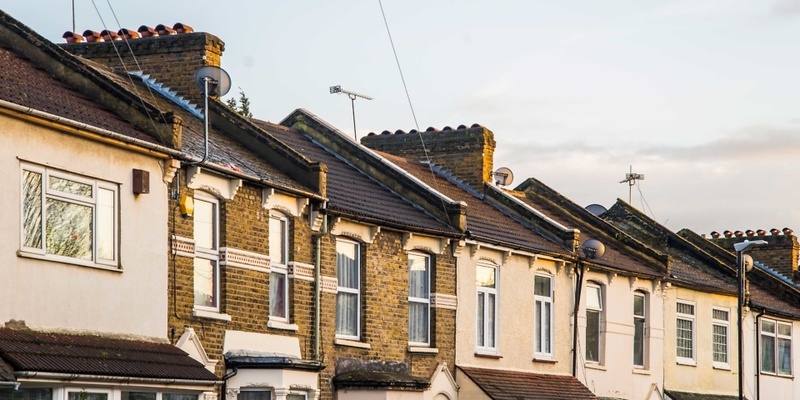 Agents in Hampstead were charged a whopping £60,000 for operating a dangerous unlicensed HMO, while individual landlords in Essex and Grimsby were fined £2,500 and £1,380, respectively, for letting HMOs without licences. Earlier this year, HMO licensing rules were changed, meaning thousands more landlords now need a permit for their rented properties. If you’re letting out a home to five or more people from more than one household, you’ll now be considered to be operating a ‘large HMO’, for which you’ll need to apply for a permit. Some councils also operate their own additional licensing schemes that go above and beyond standard HMO rules. Find out whether a scheme is in operation in your area by using the interactive map below (correct as of August this year). Selective licensing schemes – where individual councils require landlords to apply for permits – have been rolled out in dozens of areas over the last couple of years. Fines for those who flout the rules vary depending on the severity of the offence, and vary from council to council. In January, landlords in Scarborough faced fixed fines of £100 each for filing their applications too late. Meanwhile, in October, a landlord in Durham was fined £450 for two breaches of selective licensing – failing to notify the council of a change of tenant and failing to produce tenant references. Around 40 councils in England operate selective licensing schemes, and many more are consulting on whether to bring one in. The table below (correct as of August this year), shows which councils operate selective schemes. To get a licence, you’ll need to enquire directly to the council, and you may need to pay £500-£600. A string of landlords have been fined for flouting planning rules in 2018, with several committing serious offences. Earlier this month, a couple from Neasden were told they must repay buy-to-let income of £322,282 or face prison, after illegally letting out tiny flats converted from terraced houses without planning permission. A similar case in north-west London resulted in a record-breaking fine of £1.5m. Converting a property may increase the number of bedrooms you can let out, but breaking the rules comes at a serious cost. For example, a landlord in Luton was fined £8,510 for letting out a poorly converted garage as a flat without getting permission. Aside from financial penalties, a conversion that skips planning regulations or approvals could put tenants in danger. If you want to make any major change to a property (such as building an extension) or change its use (for example from commercial to residential), you’ll need to get planning permission. Your first port of call should be the official government guidance on getting planning permission, but be aware that some regulations may vary depending on your local planning authority. Fines for breaking safety rules and failing to comply with improvement notices were worryingly common this year. In November, a St Helens landlord was fined £21,000 for failing to adhere to fire-safety standards, while many landlords – including an investor in Leicestershire who was fined £3,600 – have fallen foul of overcrowding and minimum space regulations. As well as fines, you may need to refund your tenant’s rent if you break safety rules. For example, a tenant in Thurrock was repaid nearly £1,100 in August after their landlord failed to comply with an improvement notice after breaching health and safety regulations. As a landlord, you are responsible for the safety of tenants living in your property, and there are a range of rules you must adhere to around gas safety, electrical safety and fire safety. If you won’t be be able to keep the property in a good condition and maintain its upkeep yourself, you risk endangering your tenants’ safety and breaking the law, so it may be wise to appoint a managing agent to keep the home up to standard. Under Right to Rent regulations, landlords need to check whether potential tenants have the right to live in the UK before agreeing to let a property. Data released in June showed that 405 landlords had been fined an average of £654 each for Right to Rent breaches, with cumulative fines totalling £265,000. Earlier this month, the government announced that it plans to keep the current Right to Rent rules in place until at least the end of 2020. This means that before you let a property, you’ll need to ask prospective tenants to provide documentation that proves they are allowed to live in the UK. If you appoint a managing agent, they should do these checks for you, but if you’re doing them yourself, you can get advice from the government’s step-by-step guide on right to rent. If you want to evict a tenant, you need to follow a specific process, regardless of the reason. It’s not acceptable to take things into your own hands, as a Sheffield landlord found in August, when he was ordered to pay £3,364 after illegally evicting a tenant from a shared house by showing up at the property and throwing their belongings into the garden. There are two ways to legally evict a tenant – by using a section 21 notice (if the tenant is not at fault) or section 8 notice (if the tenant has given you grounds for eviction). For more information on how eviction processes work and following the correct procedures, read the guide from Which? Consumer Rights on how to legally evict your tenant. As a landlord, you must transfer the deposit paid by the tenants into a third-party protection scheme for the duration of the tenancy. This is the law, but not everyone follows the rules. Research by the zero-deposit firm Dlighted earlier this year claimed that seven landlords and their letting agents were convicted of illegally taking tenant deposits in the first half of 2018. If you ask your tenant for a deposit, you must secure it in one of the three government-backed protection schemes within 30 days of receiving the money. The new year is a great time to get your finances in order, and with some attractive mortgage deals currently available, landlords could save significant money by remortgaging. If you need some advice on the right buy-to-let mortgage for your portfolio, call Which? Mortgage Advisers on 0800 197 8461 or fill in the form below for a free callback. Are the best savings accounts offered by banks you’ve never heard of?